Blocking focuses on good footwork and great body control while reading your hitter to anticipate where to penetrate your hands over the net to block for points. 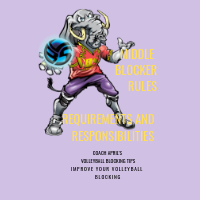 The volleyball block is your squad's first line of defense against an opposing team’s outside hitters or any attack hits by their players in the middle blocker position. Once the ball hits the floor, or hits a blockers hands and goes out of bounds, that's a point for the opposing team, and you don't want that to happen. Knowing how to put up an effective volleyball block will keep the opposing team from scoring points from their front row while they are on offense. 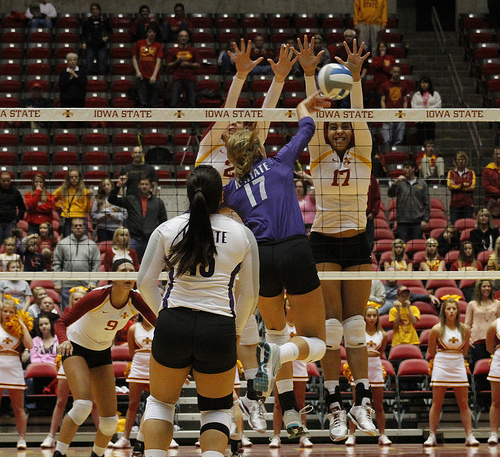 At the beginning of a rally, if your team is on defense, after the referee blows their whistle and your team serves the ball into the other team's court, the players in zone 2, zone 3 and zone 4 on your side should be laser focused on keeping your opponent from spiking the ball across the net and into your court. 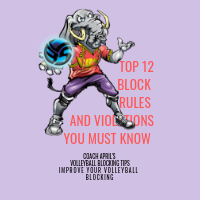 In order to do that the front row players need to start by checking their upper and lower body blocking ready position so that they can be as efficient and as fast as they can. 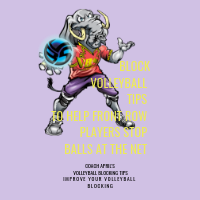 So that when they move along the net also known as moving laterally, which means from side-to-side along the net before jumping to block a ball their opponent is trying to hit, they are in a well balanced position to stop the ball. 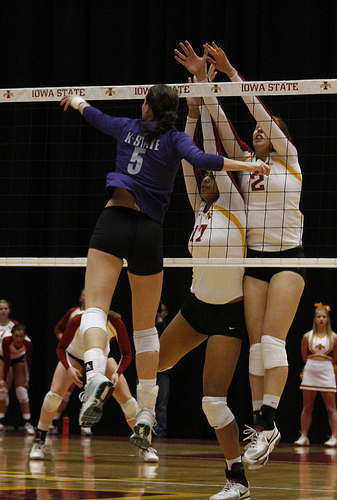 The Volleyball Block. So that when they move laterally along the net before jumping to block a ball their opponent is trying to hit, they are in a well balanced position to stop the ball. As a blocker, you need to position yourself in a way to create a barrier using your arms and hands to deflect any hit or spike attempts from an opposing team's spiker back into their court. You are in fact trying to make yourself into a human wall, and that wall should prevent an outside hitter or middle hitter or back row attacker from the team on the other side of the net from hitting the ball onto your side of the court. What Should Your Feet, Knees and Lower Body Be Doing? 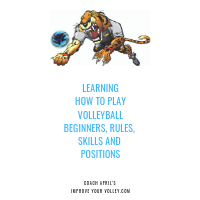 As always when I coach volleyball skills to players, I like to start at the bottom, with what you're supposed to do with your feet. What should your feet be doing and where should they be positioned? You want to start in a balanced position with your feet so that they are parallel to each other. Olympic gold medalist, David Lee gives a master class on the block in volleyball. They should be perpendicular to the net so that you can maintain a balanced position that will allow you to move quickly to your right, to your left or backwards off the net to get back in defense or to transition so you can begin your spike approach if necessary. You want to be in a position to be able to move laterally along the net quickly, which means your knees should be in a slight squat. This is also called a "loaded" position. When you hear the phrase squared to the net, it means that your body is completely parallel to the net. When all parts of your body are facing the net then your body is squared up to the net. Before leaving this page Say "Hi" to Mr G.B Blash, the Bear, wearing the #11 jersey below. 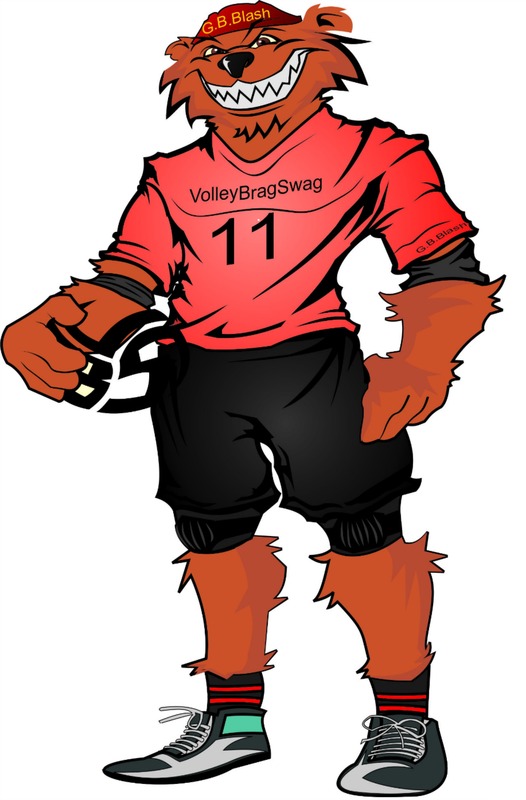 "G.B" aka "Great Big" is the starting middle blocker for the All Beast VolleyBragSwag All Star team.